Sourcing the right leaders at all levels to join your organization and help deliver on your business objectives can be a challenge. Experience, qualifications, cultural fit, vision, leadership style; the criteria and considerations are numerous. We recognize cost is critical, and while you want the best and brightest, you also want to be smart with your budgets when looking for a firm to help. PSG gives you peace of mind in the form of extensive research, expert analysis, assessments, and a best-fit hire on a committed timeline. At PSG we’ve spent over two decades honing our committed approach to leadership and management search. Our process is key to our clients receiving unrivaled value, reducing turnaround time and delivering quality intelligence & results. To deliver on this, we commit to each other; PSG to the client, client to PSG. We set project milestones, delivery dates, research parameters, and a payment schedule, and upon conclusion you have the highly sought after new hire you need to propel your business forward. Our process ensures we achieve successful results for our clients; we call it our Accountability Blueprint. You should expect nothing less. The PSG approach to leadership and management search has been crafted to meet the needs of our clients and ensures the value you receive in our service and results are best-of-class. Committed timelines and project schedules support your business planning, timing, and onboarding processes. Fresh market research and reporting uncovers the specific market realities related to the role you’ve defined to empower your decision making. Smart assessments to reveal compatibility and fit of all final candidates. Dedicated experts focused on your projects. Our committed model means none of our clients are ever “shuffled to the bottom of the pile”. Rates that present best value to you and your organization. 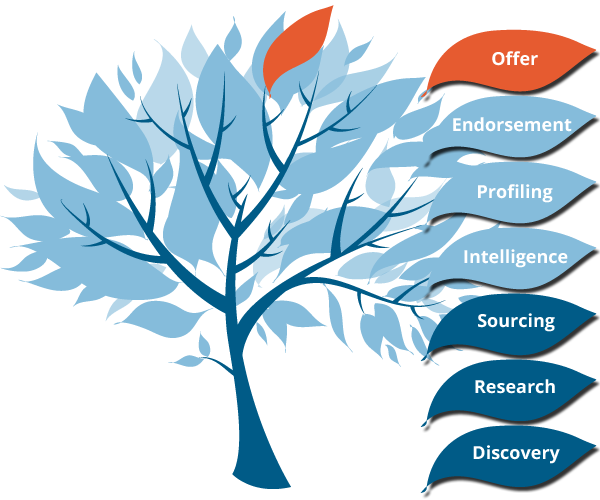 PSG excels at sourcing leaders of all levels, our experience speaks for itself. 22 years of business in the Canadian market, focused on leadership and management search. Expertise in evaluating and placing leaders for succession planning and complex mandates including business transformation, change management, mergers, and acquisitions. Industries include: Consumer Packaged Goods, Retail, Insurance, Investment, Aviation, Manufacturing, and Professional Services. Role areas include: Sales, Marketing, Digital & Social Media, Product Management, Human Resources, Operations, Finance, and Engineering/Technical. An 18-year veteran of digital and social media, his career includes senior-level strategic management positions such as VP of Product & Business Development for Canwest Digital (Food Network, HGTV, History Television), SVP of Marketing & Product Strategy at global B2B PR services firm Marketwire, and Chief Technology Strategist for media services firm MIJO. Tim also has extensive agency experience including having founded his own successful marketing agency in the late 90’s. Tim brings extensive organizational development experience to PSG with a track record of building high performing digital & social media teams and spearheading strategic re-organization projects through mergers and acquisitions. This makes Tim a valuable consultant for our clients who are navigating through an ever-changing business landscape. Ray is an innovative, business minded leader with extensive experience in Management Education and Coaching. He is professional, knowledgeable, enthusiastic, forward thinking and committed to excellence. Ray’s motto is “Developing Leadership Beyond Theory” - He is dedicated to the application and usage of all the concepts and models that he teaches. With over thirty years experience working for one of the largest freight forwarding companies in the world, Ray is well equipped to lead our Culture Shaping & Leadership Development service area. His career began on the shop floor and saw him promoted up through the ranks to key leadership positions such as National Manager, Education and Development, Vice President Human Resources, and North American Director of Management Performance, Learning and Development. He is a certified coach, and holds various certifications with Thomas International and Korn Ferry. The knowledge and experience Ray brings to PSG makes him a valuable resource and consultant for our clients as they strive to build and maintain high performing cultures, that achieve their mission and deliver their vision.